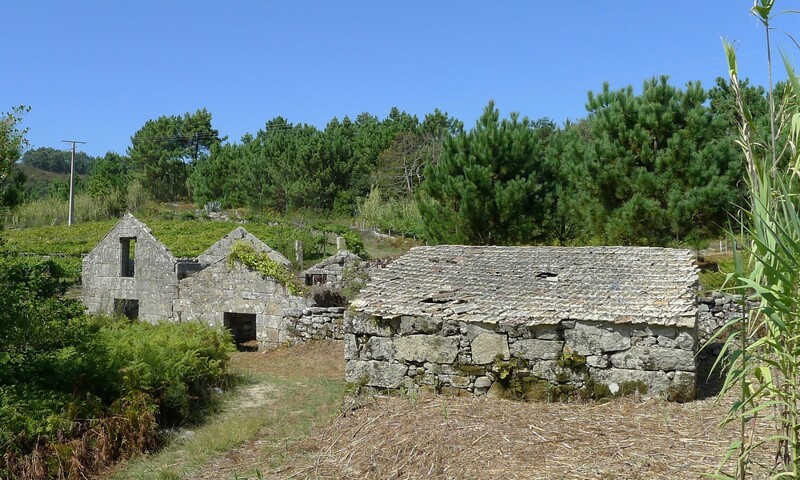 The Costa da Vela Nature Reserve in Galicia sits on the very edge of Europe. 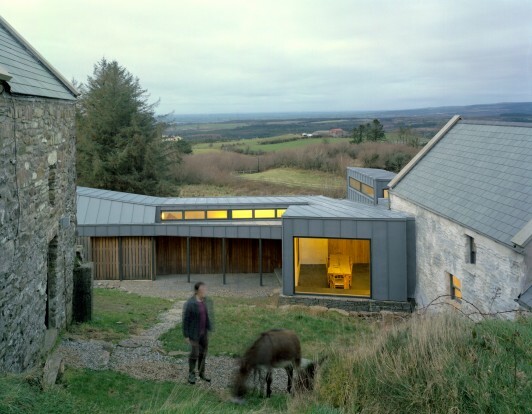 Here, untamed, sparsely inhabited land meets the wild Atlantic with long stretches of beautiful white beaches. In 2004, on one of the sandy paths which wind down through the pine trees to the sea, Jamie Fobert and Dominique Gagnon came across a long-abandoned house. 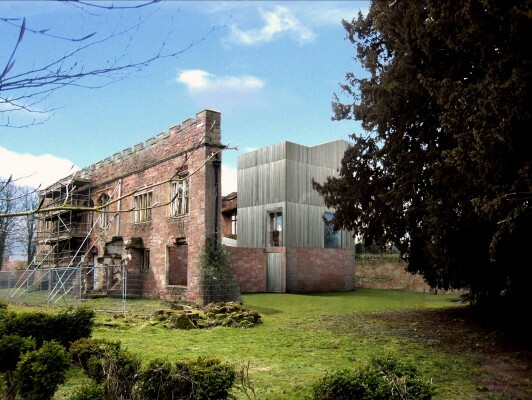 Entranced by their chance discovery, they undertook 12 years of negotiation, purchase, design, planning and construction to transform the ruin into a comfortable rural bolthole. 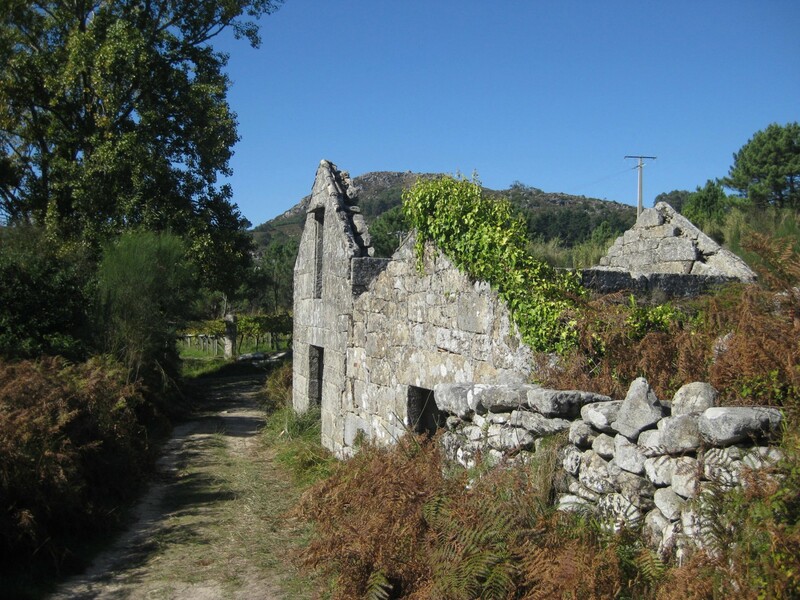 From the path, the house looks much the same as it ever did: strong walls built of chunky, irregular granite blocks. 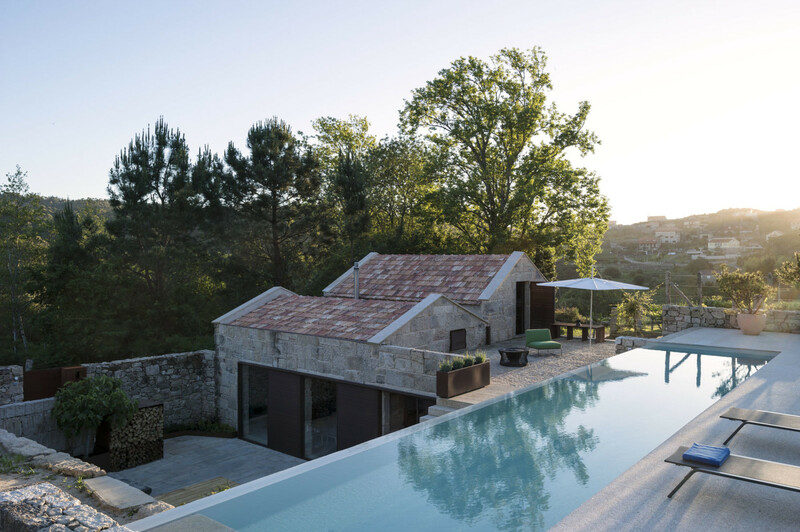 But concealed behind the original walls, excavated into the rock is a 155m2 four-bedroom house and courtyard. 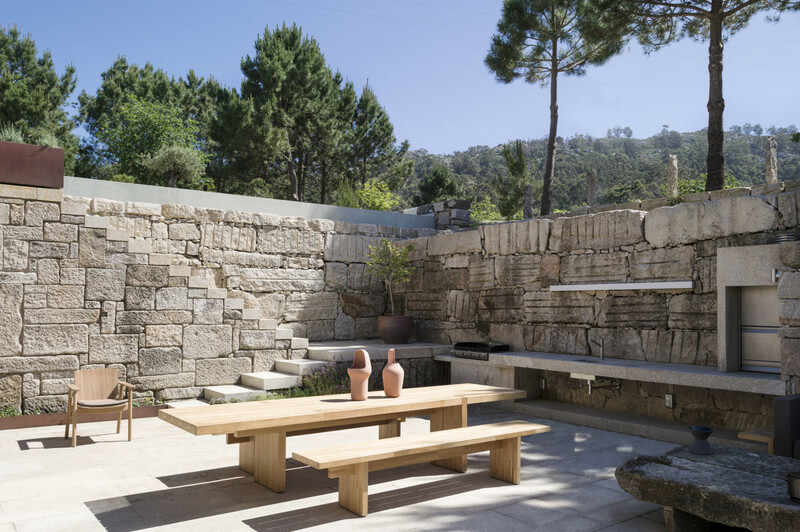 At the top of the sloping site, existing pines have been shaped and weighted to create a natural parasol, complemented by native olive trees, cork oaks and flowering succulents. An infinity pool cascades down one wall of the new courtyard below. An irregular stone stair steps down to the house; it feels ancient—part of the rocky landscape. 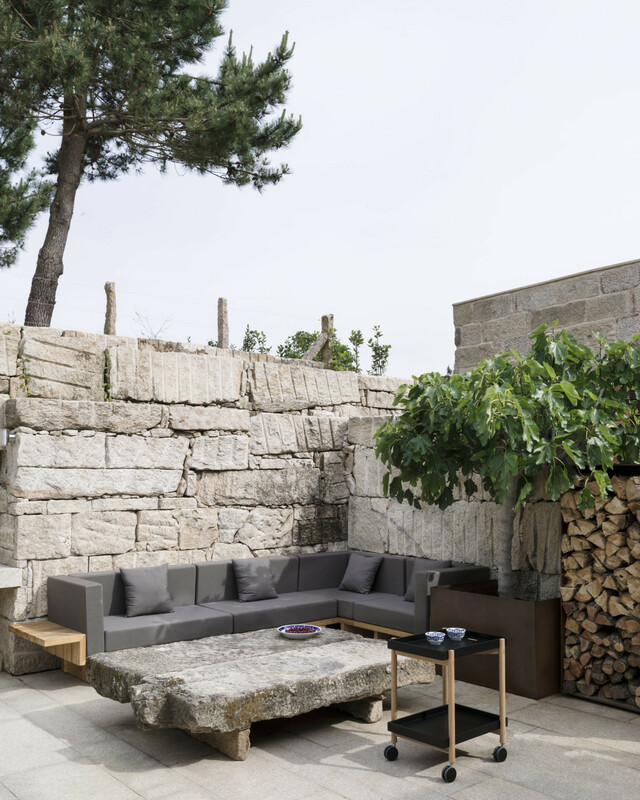 With a large chestnut dining table, comfortable seating area and an outdoor kitchen, the courtyard is the first room of the house, with the sky for a roof. 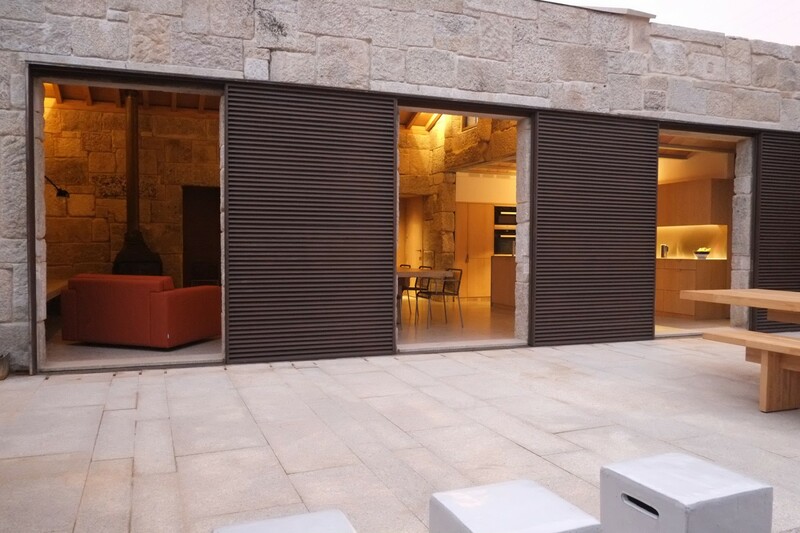 The local granite forms the walls and floor, complemented by honey-toned chestnut and Corten steel elements. 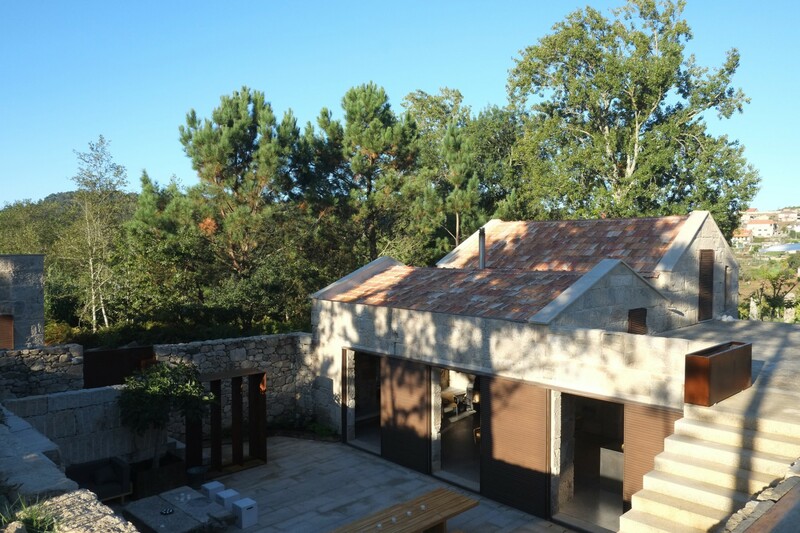 From the courtyard, three large Corten shutters slide away to reveal three frame-free slots into the main house. The interior is simply detailed, revealing the building's construction. 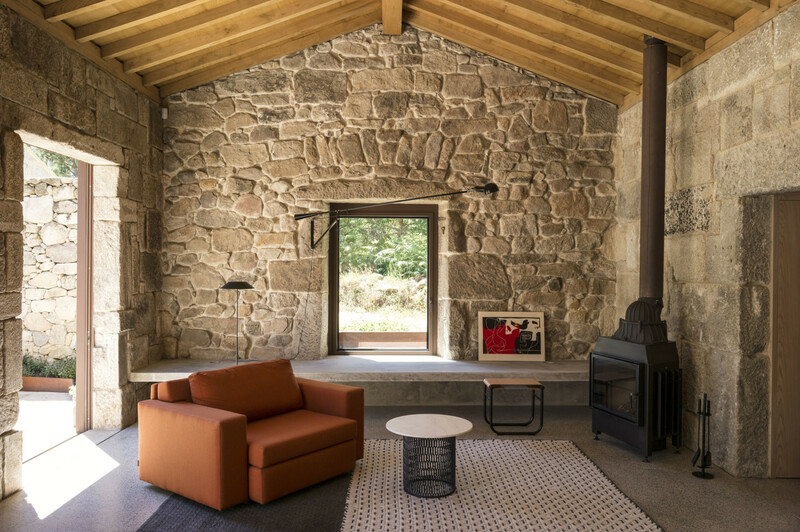 The granite walls and chestnut ceiling are exposed. 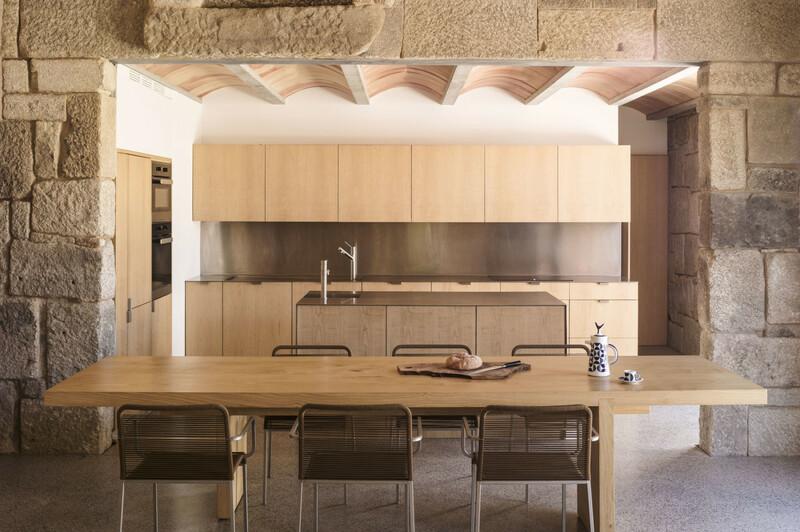 In the kitchen, a vernacular barrel-vaulted ceiling has been made out of handmade terracotta tiles. 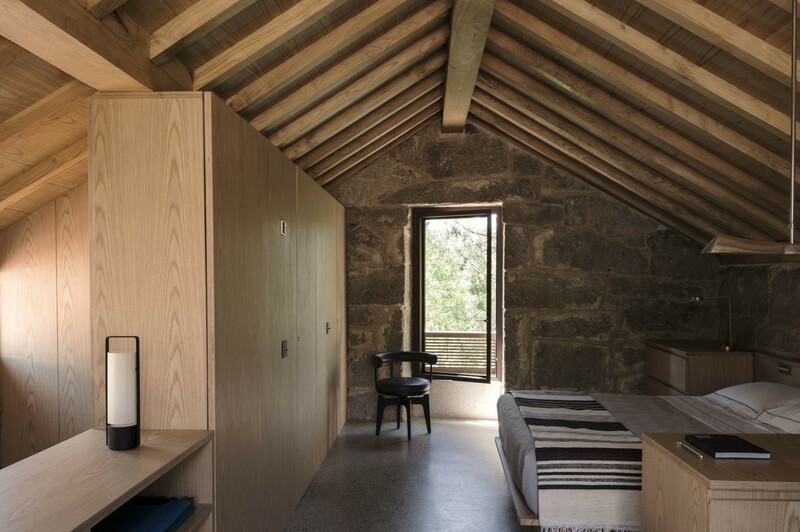 Each bedroom has its own shower and WC, making the house comfortable for a large number of guests. 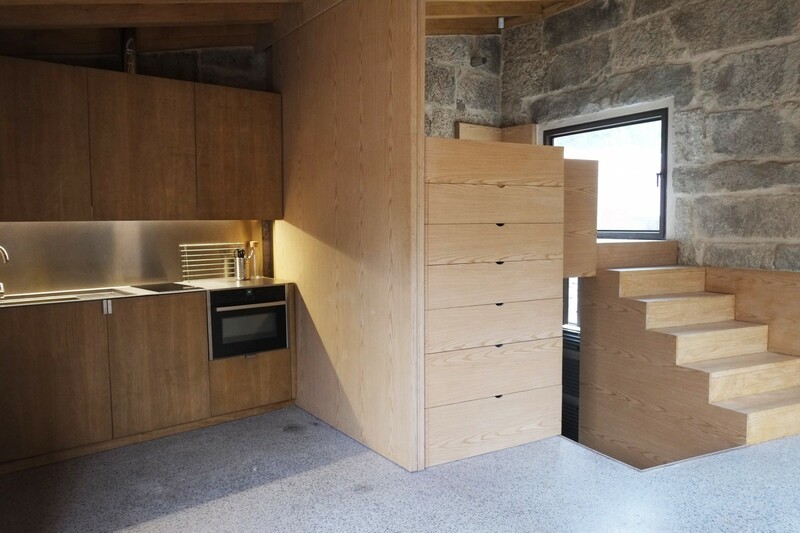 An adjacent small building—originally acquired for its potential for storage—has been transformed into a second little house, containing its own kitchen, shower room and a mezzanine sleeping level. 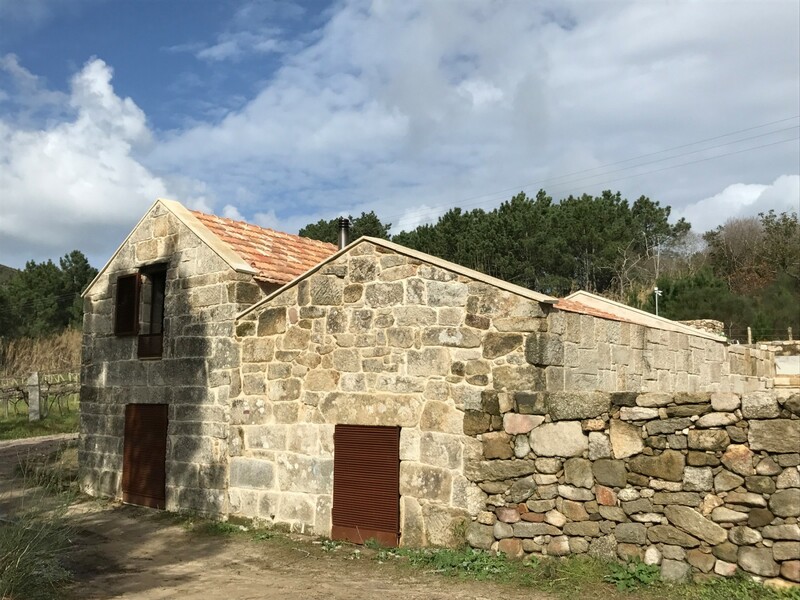 The little house is materially consistent with the main house, with exposed granite, bespoke chestnut joinery and Corten shutters. 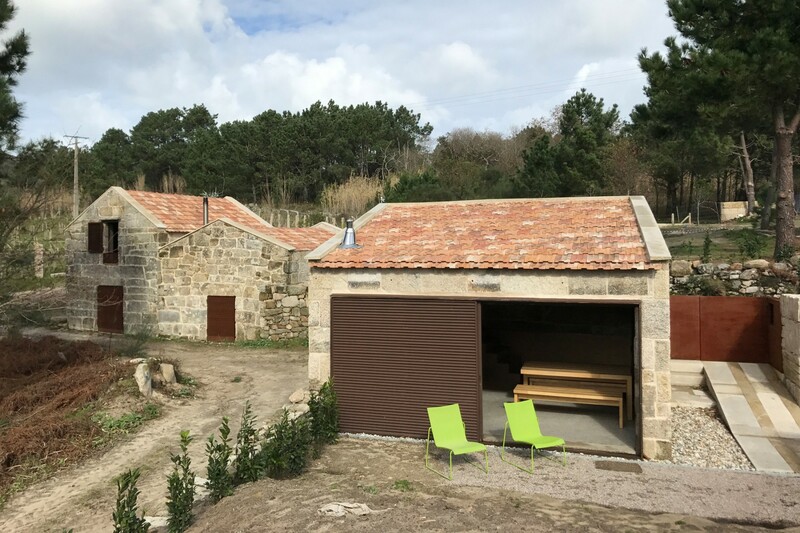 You can stay at Camino de Playa! 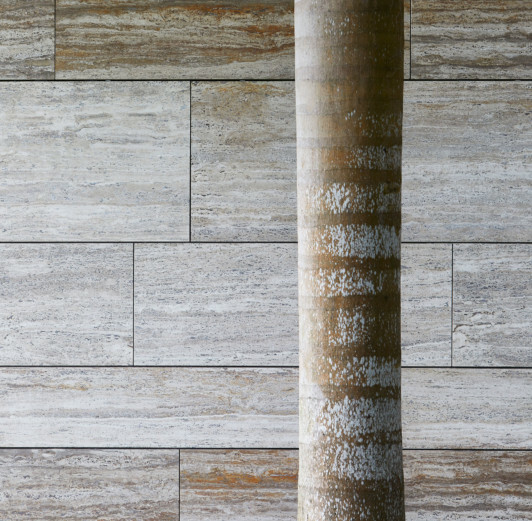 Wallpaper* – Caroline Roux : “It’s so beautifully embedded in the landscape, you’d hardly know it’s there”. 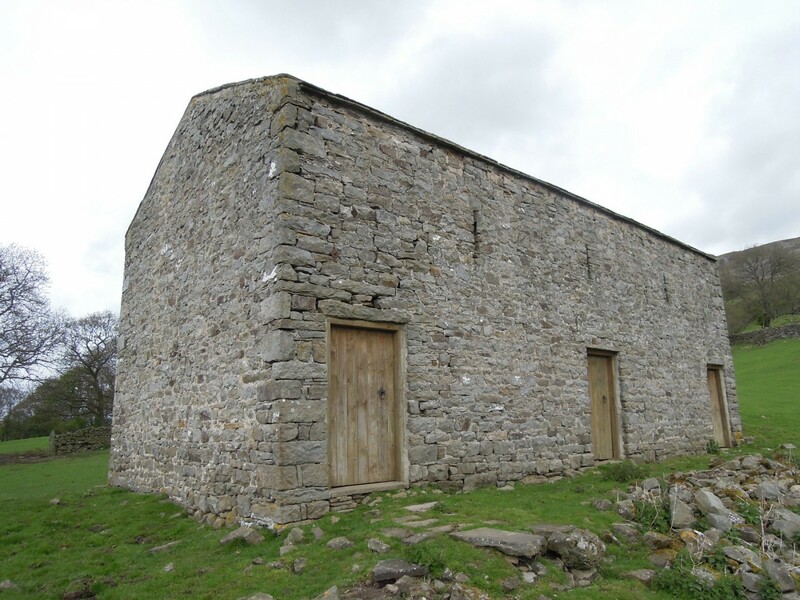 Walking in the countryside in Yorkshire, Jamie spotted a barn with three vertical openings, which inspired the three frame-free slots from the courtyard into the main house.